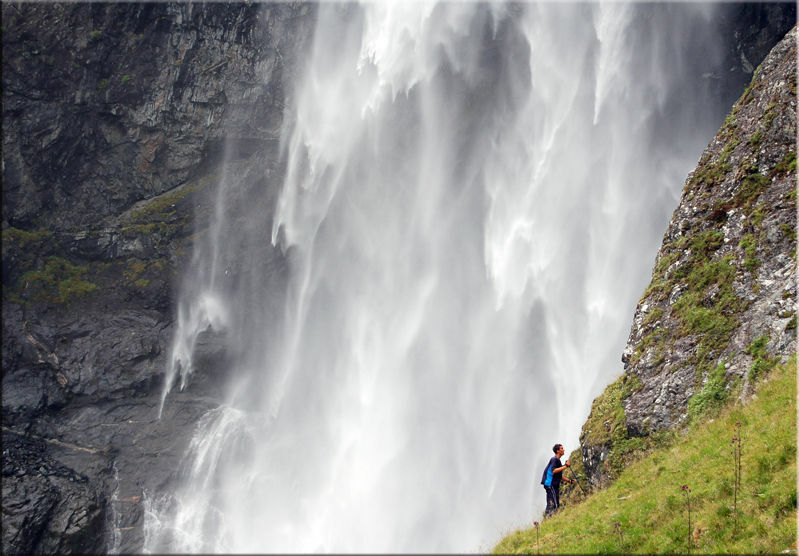 Sometimes when searching waterfall pictures you discover a real big unknown waterfall. The Huldafossen is one of them. Huldafossen is an amazing big waterfall in the south/middle of Norway near Fresvik/Sognefjord in the region Sogn og Fjordane.